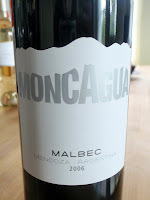 Moncagua, Malbec, 2006—This Malbec from Argentina is easy to drink because of its light body and great balance, and would probably not be unwelcome at a dinner party. A bottle has been known to disappear at this house before dinner even starts. Masia D Bielsa, Garnacha, 2007—I picked up a bottle of this Spanish wine at random while getting some cheese at Farmstead Wines and Cheeses. The wine is excellent, especially for the price—it’s complex with notes of spice and tart cherries. It would go well with Spanish tapas. Falchini, Vernaccia, 2006—This is the splurge wine of the group, but well worth the extra couple of dollars. This Italian white wine is light and citrusy, with a very crisp finish. The grape varietal, Vernaccia, comes from the region Vernaccia di san Gimignano in Tuscany. 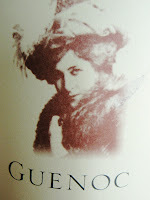 Guenoc, Victorian Claret, 2006—Produced in CA’s Guenoc Valley, this North Coast wine makes the perfect “red table wine.” It’s pleasant, though a bit nondescript, and easy to pair with food. The wine is a blend of Cabernet Sauvignon, Merlot, Petit Verdot and Petite Sirah. A great wine for cookouts, picnics, or sitting on the couch watching Lost.